The venue for tonight’s CNO 2.0 meeting was Heavier than Air Brewing Company. Thank you to CNO Member Nick Tarkany and his team for allowing us to take over their bar tonight. There was a 50/50 drawing won by Melissa Stamm, a guest and one of the teachers we recognized tonight. We had 36 members and 29 guests in attendance. Greg Fay, the chair of the CNO 2.0 committee, gave a brief presentation before the speaker. 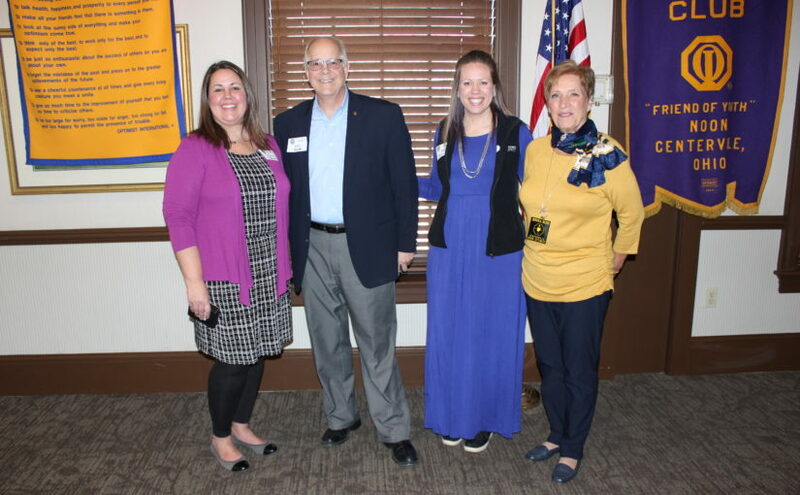 The following may not all be realized by guests, new members or perspective members at the meeting tonight: CNO 2.0 is a club within a club of the Centerville Noon Optimist club. Being a member of either club allows their members all the same opportunities to participate in fund raising and club activities. 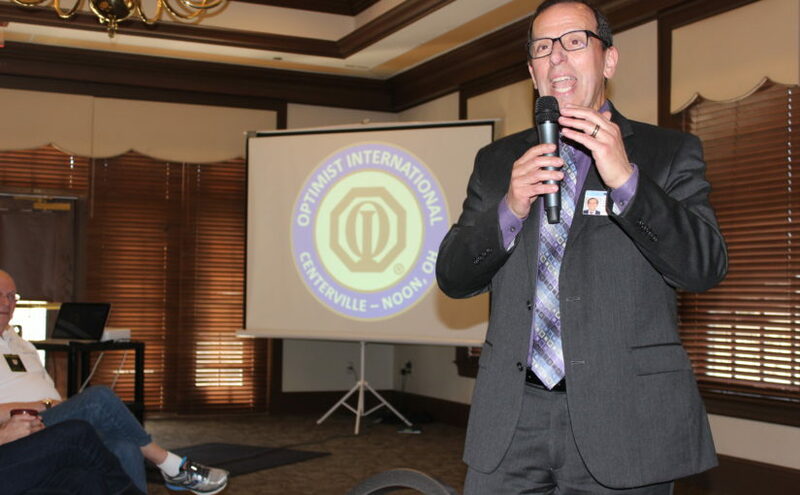 CNO 2.0 was created about 2 years ago and is very much a part of the 51-year-old Centerville Optimist Club. CNO has given away over $2 million during its history. Pat Behn gave everyone more information about the Easter Egg hunt. We need volunteers to help stuff 6000 plastic eggs with candy on April 13, 2019 at 9 AM at St. Leonards. It sounds like a lot of eggs, but the work is spread out and takes a little over an hour. Please sign up or show up. There will be coffee and donuts for volunteers! The Easter Egg hunt will be at 10 AM on April 20, 2019, also at St. Leonards. Volunteers should show up at 8:30 to help spread the eggs in the grass for the kids to find at 10 AM. Coffee and donuts will be provided for volunteers! This quarter CNO 2.0 focused on Centerville Middle Schools. Brian Miller from Watts introduced Lillie Walsh and Marcie Breese. These two amazing teachers helped a struggling student by offering extra support. This child should now go on to a successful high school career starting next year. Each were given a plaque and a $25 gift card to Submarine House. Clint Freese, the principal at Tower Heights, introduced Nicole Hess. Nicole is a great teacher and she shared a story about a visually impaired student. This student won a raffle to join the teacher’s basketball team for a teacher versus student game held last week. The student came dressed and ready to play just like any other student would. The student team still won the game, as usual. Nicole was given a plaque and a $25 gift card to Submarine House. From Magsig Cindy Bowman introduced Melissa Stamm. Melissa is fantastic and brings the power of positivity to her students. The kids love and want to be involved in theater. 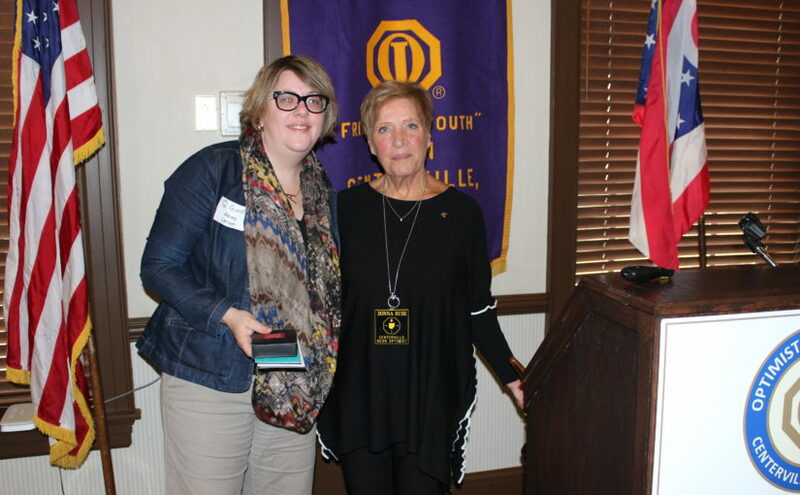 She was given a plaque and a $25 gift card to Submarine House. 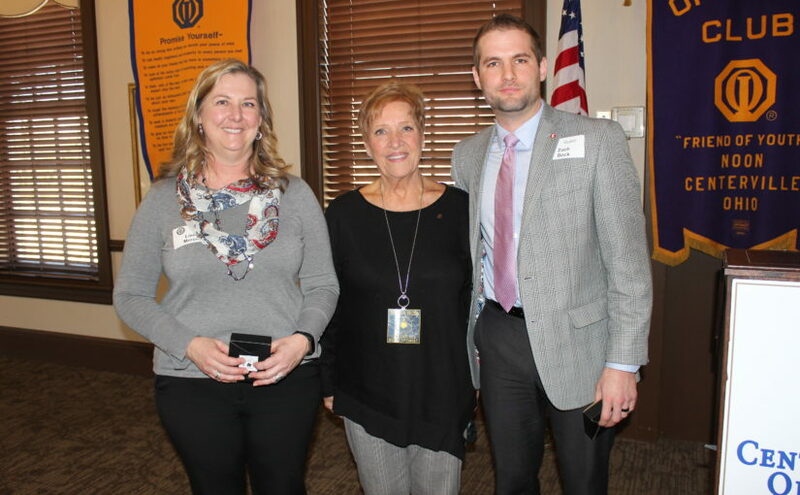 Greg Fay introduced entrepreneur Wasfi Samaan, owner of JD Legends Media (a social media company) and CEO of JD Legends Entertainment Complex in Franklin Ohio. You can also reach them on Facebook. At 8 years old he immigrated to the U.S and lived in Kentucky. He spoke no English and was very shy. He credits his participation in high school wrestling and mixed martial arts for giving him great confidence and for finally ending the endless bullying he received as a young boy. He asked if any of us have hosted Facebook Live. He was in LA at a social media conference when he first learned about Facebook Live. He decided to immediately promote concerts and it was amazing how many people instantly started watching. He said anyone in business can do Facebook live and would benefit from it. Your Facebook page is your own media company and if you want to be successful you need to treat it that way. To be successful in social media the content you create needs to be entertaining, educational and inform your audience and future customers about you or your products. To promote his businesses on Facebook Live, he uses multiple types of shows. He creates shows about mixed martial arts, cooking, and has had a show about a Bourbon tasting event. He uses social media by first creating a podcast or live show to promote one of his concerts or activities. The information given becomes the ad. It is important to produce content. The content becomes the ad. The old ways of marketing don’t work anymore. He explained that TV, radio and newspapers are all switching to social media. You don’t have to have thousands of facebook friends for this to work. Your Facebook live creation will get indexed by Google and Facebook and it could get found by anyone. After you create content with your video, copy it to YouTube and Instagram. The description you put is important so give it some thought, because it is used for the indexing. During his presentation he decided to do a Facebook live video on the spot. He got out a tripod and mounted his smartphone to the tripod sideways (landscape) which he said is important. His video was an interview with Nick Tarkany, the owner of Heavier than Air where tonight’s meeting was held. Wasfi started by asking Nick about his one-and-a-half-year-old company. Nick mentioned that the most popular beer is their New England IPA and their “Golden”. Wasfi asked about the origin of Nick’s company name. The name is based on the Wright Brothers goal of creating a flying machine that was heavier than air. During the interview, Wasfi could instantly see Facebook users were viewing the video. He offered two free tickets to a concert to the third person that said they were watching, which will help with the ranking of the video. Wasfi took questions from the audience. He was asked how he came to be in the bowling alley business. He and his brother had been buying businesses, improving them and then selling them. A bank that knew the brothers in Kentucky asked if they would run a local bowling alley that was in immediate danger of going bankrupt until a buyer could be found. This benefitted the bank financially and by reputation because there would have been significant fall out from bowlers if it shut down during the middle of league season. After running it for a while they decided to purchase it. His company was on a list of bowling alley owners. He found out about JD Legends bowling alley in Franklin because he was sent an offer to purchase it from the previous owners. Then he was asked about how he became the owner of a social media marketing company. He said that after purchasing JD Legends he invested 1.5 million and started hosting live music concerts. He figured out he was spending way too much on marketing originally, so he studied social media and compared the ROI. Over time he got better and better at it. He is passionate about his social marketing and decided to offer his services to others. He said we should try out different things and give things a shot. You never know when you might get a positive response. Go ahead and send that email requesting someone to become a customer, they might just say yes. He was recently offered a trade of products for his services for a new cupcake company. He said yes to them. 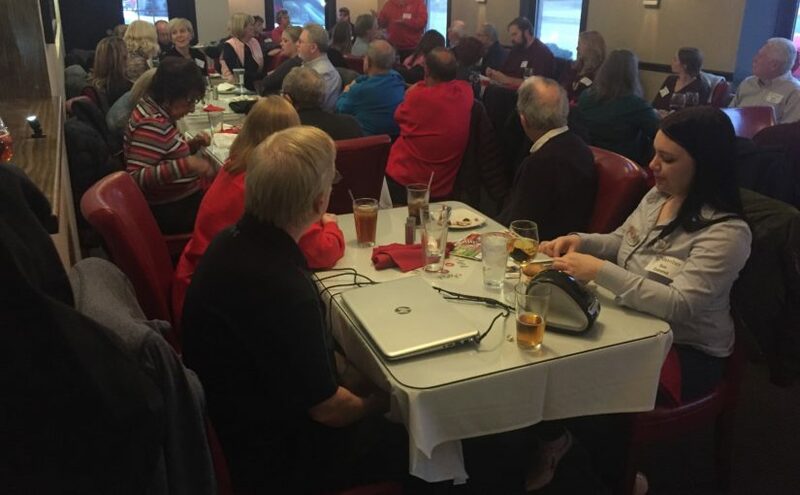 Remember the CNO 2.0 meeting is always the third Thursday of the month at 5:30 PM at a local bar or restaurant. 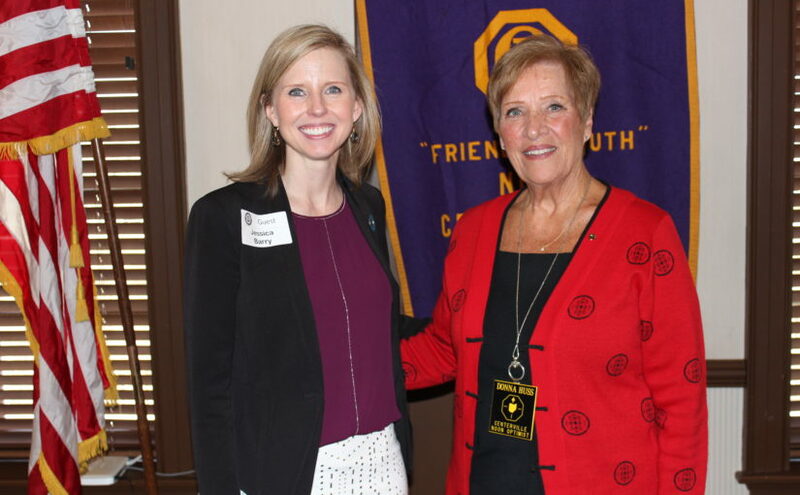 CNO member Cindy Gaboury will be the speaker at the next meeting on April 18, 2019. 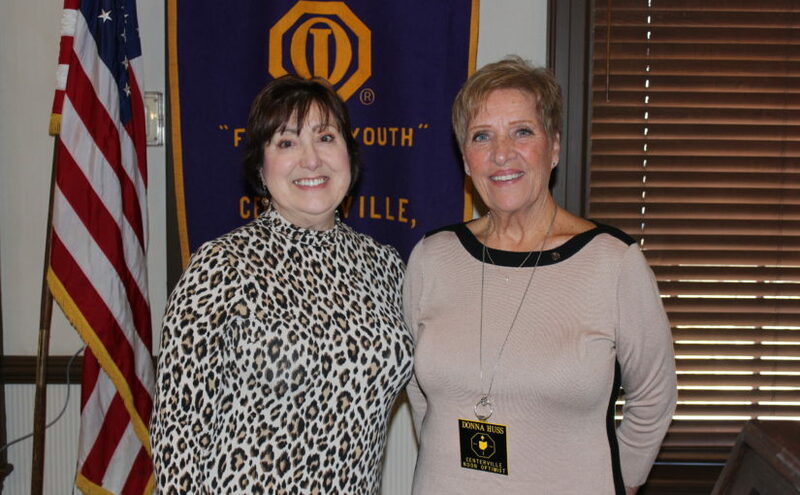 She and her husband Kirby own Audio Etc, which has provided home entertainment systems in Centerville for over 30 years. We inducted four new members at tonight’s meeting and we are so happy to have these folks step up to help us help kids! 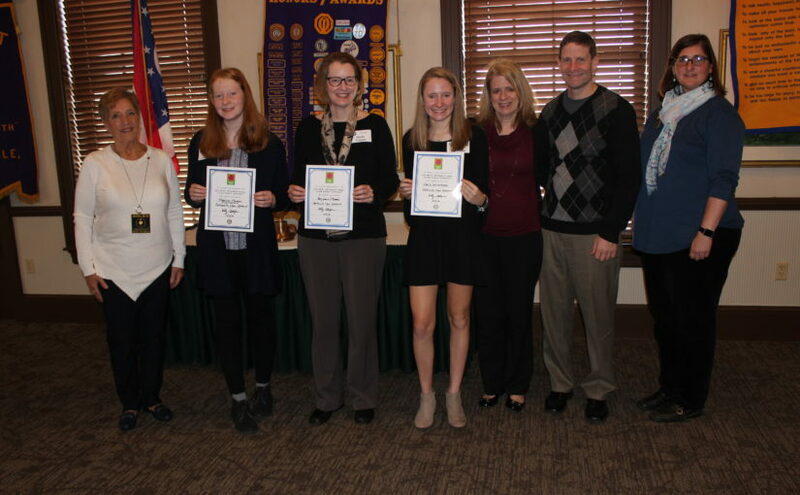 Welcome to the largest Optimist Club in the world! The venue for tonight’s CNO 2.0 meeting was Nelly’s Taste of Bolivia in downtown Centerville.. Thank you to the owner of Nelly’s, Rafael Santillan and his fine team for the great food and the space. We had 39 members and 11 guests in attendance. Jesse Gaither introduced tonight’s guest speaker, Bill DeFries. Bill recently published his book Impacts Beyond the Bounds – Explosive Success for Atypical People. Bill is a Marine Corp Veteran and has been a member of Centerville Noon Optimist club since November, 2004. He is also the CEO of Copp Integrated Systems, a member of the Ohio Veterans Hall of Fame, serial entrepreneur, motivational speaker and author. Bill started with some of his history. He was born on the South side of Chicago 58 years ago. He was a kid that didn’t like school and was in trouble a lot. He credits doing well to his parents staying together, high school sports and The U.S. Marine Corps. In 1978, right after high school he had to get his own apartment. He obtained a job with the teamsters loading freight during the Jimmy Hoffa era. He quickly realized manual labor was not for him. He reconsidered college and was amazed he was accepted into Southern Illinois University. It didn’t take long for the university to reconsider and they kicked him out. He decided to enlist into the U.S. Marine Corp. That 4-year experience during the Cold War and the Beirut Embassy bombing crisis formed the basis for the rest of his life. The book contains 10 simple things that helped him get where is here today, split into “Grenades” or chapters. 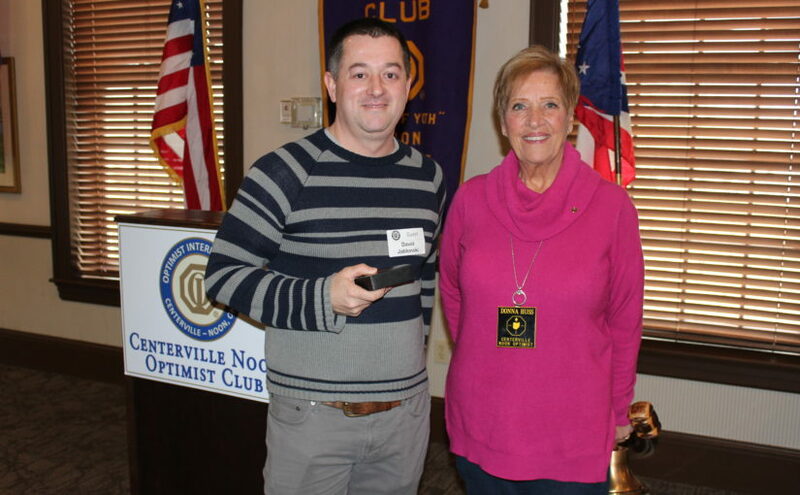 His favorite is “Your Eighth Grenade: Give, Don’t Give Back.” Being a member of the Centerville Noon Optimist club truly helped him understand the concept of giving to the community. The picture on the cover of book is of him about to throw a live grenade. He discussed his restaurants. He originally planned to open his first Beef O’Bradys in Chicago, but he fell in love with Dayton and Centerville. His first restaurant opened September 24, 2004. Soon after it was opened Judy DeMarco and Dave Kaye recruited him into the CNO. He noted that life isn’t always a bowl of cherries. He recommends having friends around you for support. In 2007, he opened a second restaurant and right after in 2008 one of the worst economies in our history started. He thanks the Centerville and Beavercreek communities who helped sustain his restaurants when thousands of restaurants were closing every day during the recession. He is glad to have been part of Dayton and provide employment. He is especially happy to have provided entry level jobs for youth at his restaurants. Thank you, Bill DeFries, for sharing your story with us this evening.